Ever since its first foray into the video game market, Nintendo has been known for the incredible amount of creativity it brings to the medium. Innovative ideas – whether they add a pleasing minor touch or groundbreaking gameplay feature – have to some degree been the company’s bread and butter for decades. It’s these concepts, as well as an unrivalled understanding of what makes a great game, which have helped set Nintendo apart from its competitors for so long. Long has a mystical aura surrounded the company – one which paints it as the Willy Wonka of video games. It’s partly down the fact that no one can ever really tell what the often secretive video game manufacturer is thinking before it comes out with the software it does. While it may flaunt its creative edge with each new core instalment of Super Mario and The Legend of Zelda, it’s not always easy to tell how it came up with its ideas in the first place. Moreover, interviews with legendary game designer Shigeru Miyamoto in the past have revealed that inspiration often comes from the most unusual of places. Why is this important in the context of a review about a re-released Game Boy Advance game? Because while it may not be as critically or commercially important as Super Mario or Zelda, WarioWare is arguably the only game series to date in Nintendo’s repertoire that gives those of us on the other side a glimpse into what’s actually happening in the heads of those who create these wonderful experiences. The first instalment in the series, WarioWare, Inc.: Mega Microgame$! 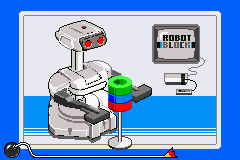 – or WarioWare, Inc.: Minigame Mania as it is known in Europe – was originally released on the Game Boy Advance in 2003 and can only be described as a weird and wonderful trip into the collective mind of Nintendo. Here, gameplay concepts are presented in their rawest, purest form against a rich and vibrant backdrop of the company’s history. It’s intentionally simple in what it offers, but at the same time is also unashamedly honest as far as Nintendo’s past is concerned, drawing on both its many successes and occasional failures to create a hugely entertaining experience. WarioWare, Inc.: Mega Microgame$! is essentially a "microgame" compilation – basic and incredibly short games which are meant to be played in quick succession. In only a matter of seconds, it’s up to you to work out what you have to do and then do it as quickly as you can. The games themselves rarely amount to anything more than pressing a button or moving an on-screen character or object, but the quickfire nature of every microgame (each one only lasting three seconds) makes them all the more challenging. Perhaps an unintended side effect of this format is that the short time limit places a great deal of emphasis on what is arguably the most important aspect of any video game: the gameplay and how you interact with it. It’s strange, because in spite of their simplicity it’s hard not to develop an affection for many of WarioWare, Inc.: Mega Microgame$!’s challenges. Whether it’s the panic-inducing nature of the task where you have to dodge a giant foot or the gross-out fun of pressing A to stick a finger up a virtual nose, there’s plenty to raise a smile and coerce the odd chuckle out of you here and there. In the single–player mode, microgames are grouped together into stages and the goal is to complete a certain number of these challenges in order to move on to the next stage. In each stage you have four lives, meaning that you can get away with making the odd mistake here and there. There’s a good chance that most stages – especially further into the game where exceptional timing and precision are essential – will take you more than a first attempt, and thankfully WarioWare, Inc.: Mega Microgame$! keeps things interesting by having the challenges appear in a random order each time. Not only that, but stages speed up as you progress through them, resulting in what feels like a visual and mental overload. There aren't a huge amount of different stages overall, and the microgames may well be short, but it’s fair to say that you’ll more than likely find yourself attempting some stages multiple times. 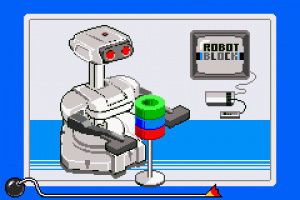 Many of the microgames are self-contained snippets from Nintendo’s older titles, and in some instances even include references from before the company’s existence as a video game manufacturer. The overall experience contains plenty of nods to old games and systems and will appeal especially to long-time, knowledgeable Nintendo fans, but that doesn’t mean that newcomers won’t find enjoyment in the wacky and bizarre presentation. In fact, WarioWare, Inc.: Mega Microgame$! is a real visual treat as a result of its art style, and this has transferred across nicely to the Wii U. Each stage is themed around Wario or one of his kooky friends, and although this doesn’t amount to very much in terms of storytelling, it nevertheless exudes a healthy dose of fun. For the most part the 16-bit look and feel works well on the home console – especially on the GamePad – although some of the low–detailed backgrounds look noticeably pixelated even with the system’s smoothing feature enabled. WarioWare, Inc.: Mega Microgame$! is a great game to play in short bursts, which is just as well, because the overall experience sadly isn’t very long. 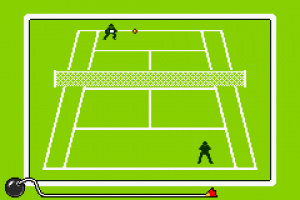 In addition to the main single–player mode, there are a handful of multiplayer microgames in which you and a friend can compete. They work really well considering you have to share a controller, but like the rest of the game they’re quite simple and as standalone experiences, they won’t hold your attention for very long. With WarioWare, Inc.: Mega Microgame$!, Nintendo has taken the endless creativity and superbly crafted gameplay for which it is renowned and merged them into a highly addictive and entertaining experience. At first glance, you could be forgiven for assuming that this is just another minigame compilation that lacks depth. However, while the microgames on offer may be simple affairs, the way in which they are used to form a frantic, fast–paced and above all challenging experience is something truly special. It isn’t the longest game, and beyond the single-player mode there isn’t much else to do, but it’s stuffed full of magical, creative moments and an abundance of classic Nintendo nostalgia and charm. It may have been more than a decade since WarioWare, Inc.: Mega Microgame$! was first released on the Game Boy Advance but it’s still a joy to play today, and a more than welcome addition to the Wii U’s Virtual Console lineup. They NEED to make a new one for the Wii U! This should be on the 3DS (With a fixed for Wiimotes version of the Gamecube one on the Wii U). For me anyway games like Donkey Kong '94 / Mario VS Donkey Kong (GBA) / Warioware are the best for playing on the 10 min train journey I have to take twice a day. I can do all these Microgames perfectly as well. (Need to in order to unlock Marathon on the Gamecube one). A Wiimote would be better though than the Gamecube controller. Have this on 3DS, it's ace. Intelligent Systems need to get on with the 3DS and Wii U versions though! After making Advance Wars 3D of course. This is better suited to a handheld in my opinion so I'll stick with the ambassador version. It's really fun though, and acing every microgame can take quite a while. A couple of Orbulon's are ridiculously hard to ace (like the one where you have to choose which cup the water is going to go in by looking at the four interconnected pipes). 9/10 <- truth. I've loved this game since GBA. It's a statement about what does and doesn't make video games fun. If you've ever witnessed someone really playing this game, they cannot help but look like a madman. Such a great game. (Think there is another one like it as well on one of the others). Sometimes I can do it but I don't really know properly what I am doing. Arrrrrrrrgh I wish people would stop complaining about GBA games being on the Wii U instead of the 3ds. LIVE WITH IT!!!!! Loved this game on my 3DS such a great game if you aren't an ambassador or own any GBA, but just so happen to own a Wii U....BUY THIS GAME!!!!!!!! Trust me you won't regret it. @HandheldGuru97 If you have any means of playing Gamecube games I would get that version. It is great multiplayer. (Especially the one that allows you to annoy the person trying to play). I really can't bring myself to spend more than £5 on a gba game. I'm hoping for some kind of deal or sale at some point............but if I crack, THIS will be the game! No sale. I'm saving my magic beans for the Gamecube version. @Funny_Moblin I agree that they need to make a better title than 'Game & Wario'. It was okay... but not 40 dollars okay. @unrandomsam I've never been good at that sort of thing. Ahh, my favorite GBA game. Such a fun series. I hope they make a new game for the 3DS soon. Still the best in the series and just a fantastic game. @JosieC84 People are free to express their own opinions, much like you are, whether you agree with them or not. But there's a place for every opinion. This is a review of Wario Ware, so why would people have to bring up the same old discussion here again? It's disrespectful to the author of the review to keep blathering about the same old stuff people have been complaining for weeks now, when it's not really related to the article. This can be discussed on the forums. Opinions surely need to be expressed, but nobody would want to hear me express my opinion on the last burger I had here in this comments section. There's a place for everything. And the fifth WiiU GBA VC review is not the place for yet another discussion that isn't even so much a discussion, but more plain whining. Loving it, one of my fav GBA games. I have long loved this title. 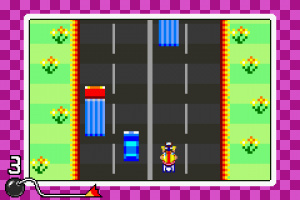 The quirky humor was right up my alley and many of the micro games themselves were entertaining, but once Skating Board and Dr. Wario were unlocked, WarioWare became a constant travel companion. This game is perhaps the only reason I envy Ambassadors; I'd love to have this on the go again (without the need to carry more than one handheld). That said, while I have no qualms with GBA games on the Wii U in general, I feel that this is the only GBA game that doesn't really feel at home on a home-bound console. WarioWare's very concept was about taking shallow, fleeting game experiences to the next level, sort of an answer to/parody of the burgeoning cell phone game market at the time. Then again, I don't think the question is so much "on 3DS or Wii U" as it is "why aren't these released on both platforms?" 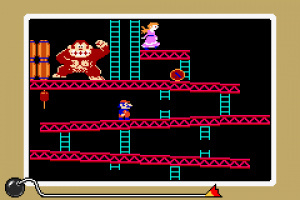 @absuplendous This and Mario vs Donkey Kong for similar reasons. (For me anyway the best things to play on the train which is only a 10 min journey. Stylus ones are not suitable). The only WarioWare that's better is Twisted. They should bring that to Wii U. It was never released in here Europe ya know. It's a fun game, as expected! SPOILER: And it even has a "Mario bros Virtual boy" mini-game, how cool is that?! @Luffymcduck Twisted would work great on 3DS too, if they were to calibrate it to the 3DS's gyroscope. I agree, it is better than this one (though this one's great). Thank you! 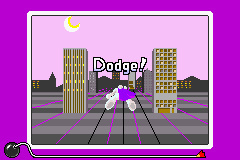 throws away the mediocre Game & Wario with a lot more force than necessary and grabs WarioWare The true angel!